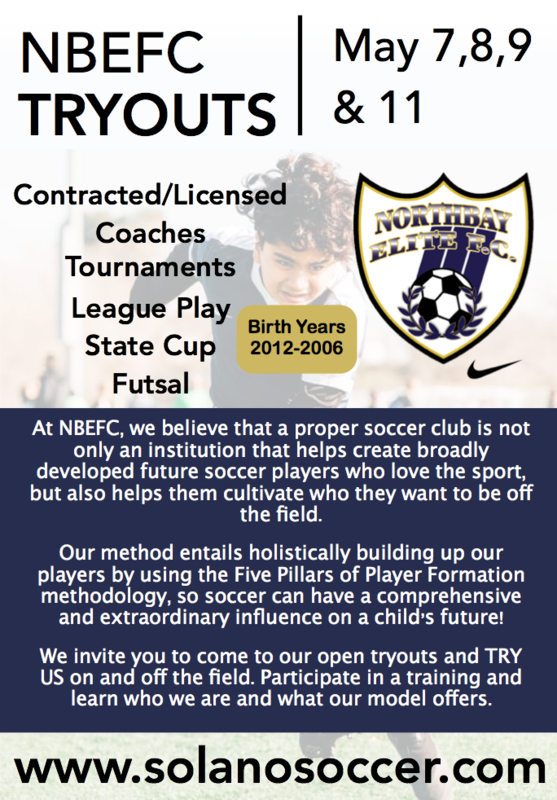 At NBEFC, we believe that a proper soccer club is not only an institution that helps create broadly developed future soccer players who love the sport, but also helps them cultivate who they want to be off the field. Our method entails holistically building up our players by using the Five Pillars of Player Formation methodology, so soccer can have a comprehensive and extraordinary influence on a child’s future! We invite you to come to our open tryouts and TRY US on and off the field. Participate in a training and learn who we are and what our model offers. Registration for the 2019-2020 year tryouts is now open! 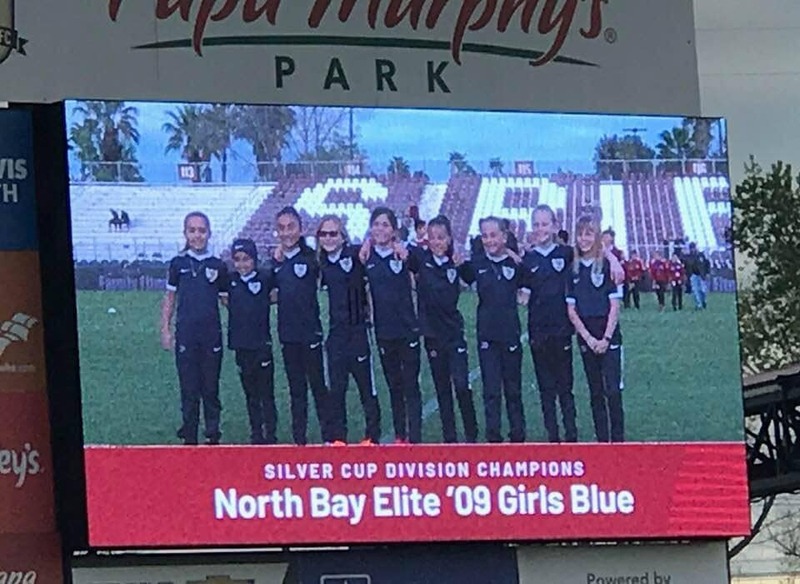 On April 6 our NBEFC’s 2009 Girls Blue were recognized by Sacramento Republic FC as State Cup Champions in their division!! 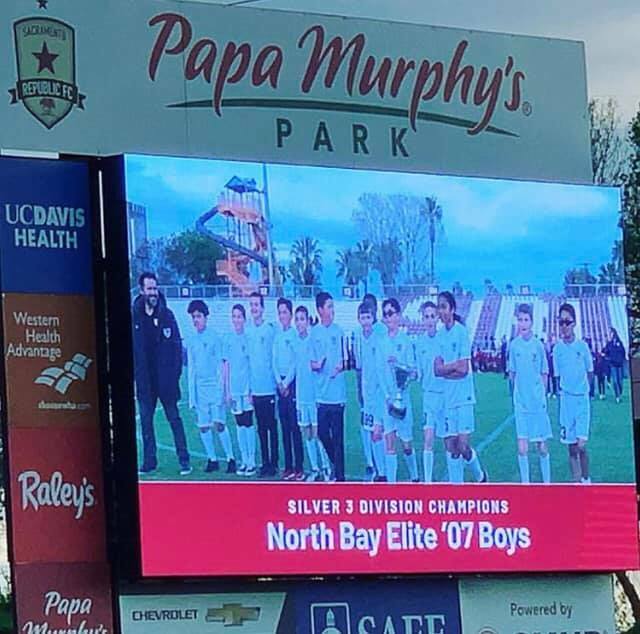 On April 6 our NBEFC’s 2007 Boys were recognized by Sacramento Republic FC as State Cup Champions in their division!! 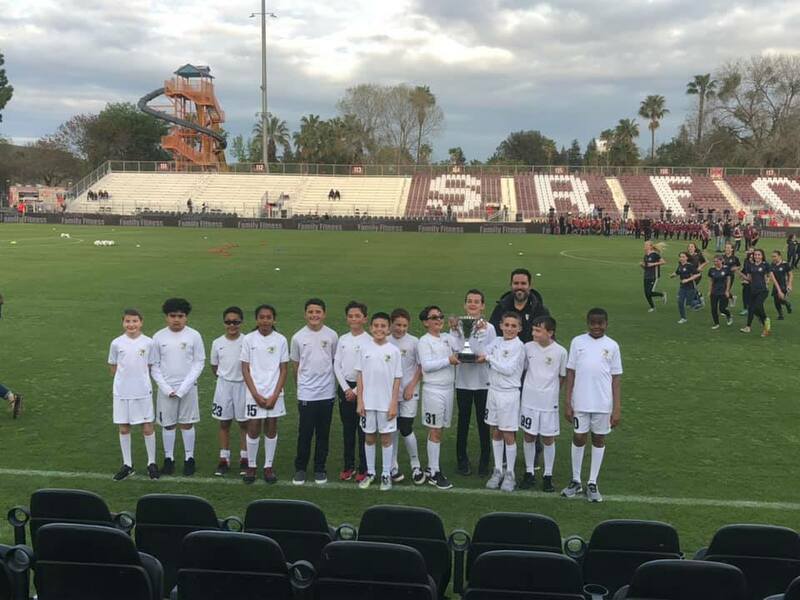 Kicked off an exciting initiative with the Sacramento Republic tonight. 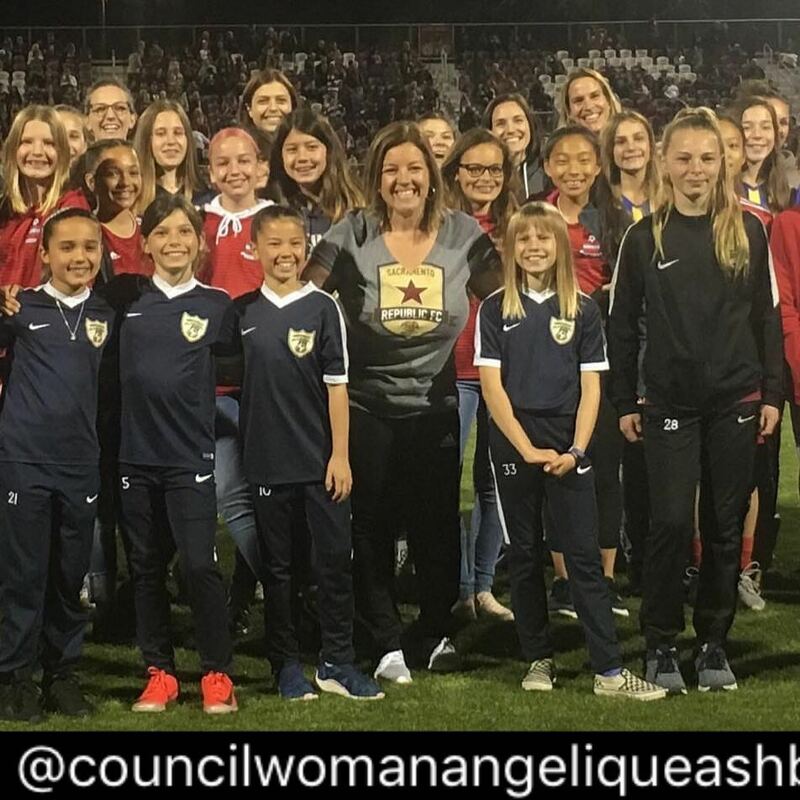 The goal is to encourage more women to coach soccer teams. 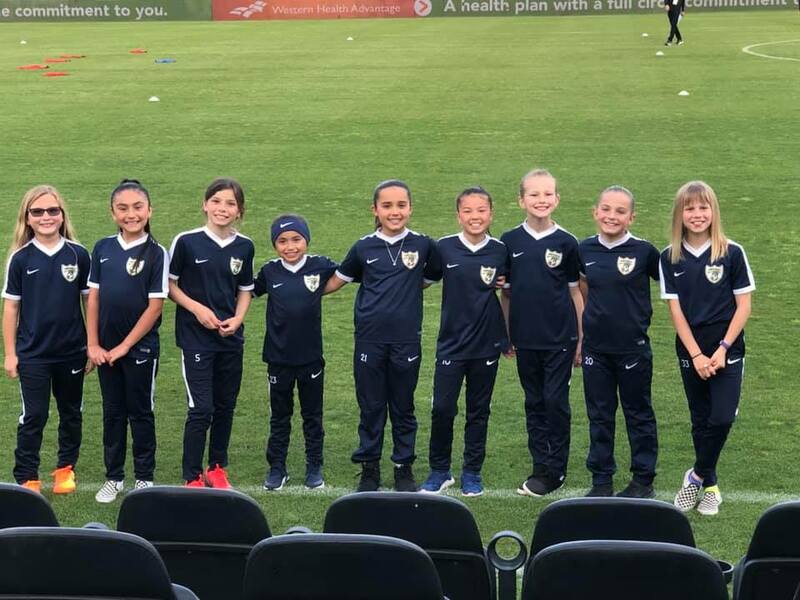 It’s so important that little girls see women is roles of leadership, on and off the field. I’m no soccer player but I did coach a team of four year olds - and so can you! 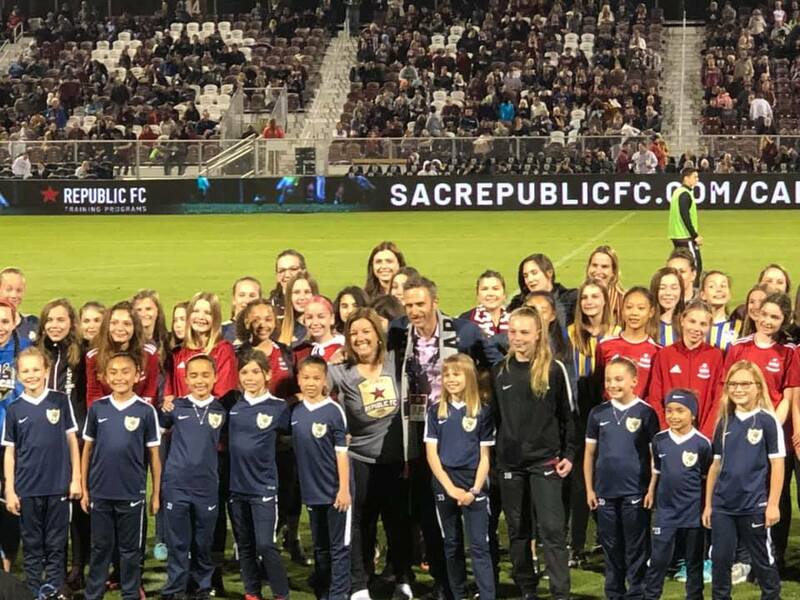 Sac Republic and I will be joining forces to show the world that yes, #SheCanCoach. We will be hosting coaches and players clinics to help build the confidence of women and girls in Sacramento.